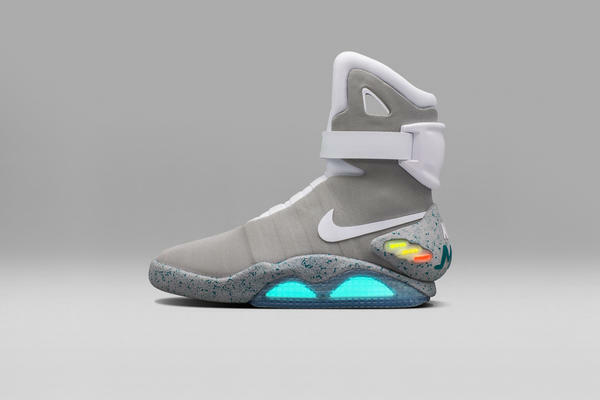 Get the new Nike Mag! All you Back to the Future fans will love this one! The American multinational corporation Nike has just launched a new kind of footwear called the “Nike Mag” in collaboration with the Michael J. Fox Foundation in efforts to raise awareness and to assist with the fight against Parkinson’s disease. A complex amalgamation of an archetype invention and other new technologies, the “Nike Mag” is equipped with an “Adaptive Fit” feature that can detect the wearer’s foot and adapt tighten or loosen accordingly. Additionally, the highly responsive, futuristic shoes are a limited edition with only 89 pairs being distributed publicly via an online draw.